The other day I wasn't feeling that great so on a whim I did some retail therapy and got me yet another round of purchases from Llarowe. I got 3 fun indies and finally got my hands on some Mundo de Unas stamping polishes! Today I am showing you one of the indies I purchased: Wing Dust Orchid You Not! stamped with a plate I received for review from Born Pretty Store: Qgirl 022. Orchid You Not! is a warm purple filled with sapphire, fuchsia, and neon pink glitters. It is supposed to be a linear holo but unfortunately I had a hard time seeing it at all. I wonder if my HK Girl top coat was the culprit, since I put it on before looking at the holo in the sun without it. If it was, it would be the first time for me with that top coat. I caught a glimpse of the holo in the picture above, but otherwise it was hardly noticeable. 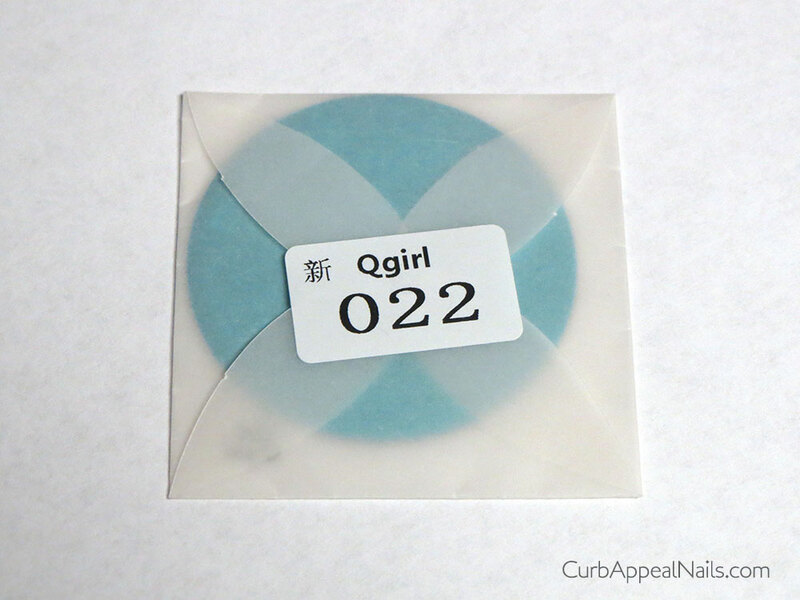 Qgirl 22 plate is a beautiful plate with various floral designs. It came in folded paper and with the typical protective blue film on top. There are 9 designs on the plate that are etched evenly and nicely. I really like how they made use of the space and fit in as many different images as they could, it brings more creativity and use out of the plate. One complaint I have is that some of the images are cut off and the top left image (as shown in the pic below) appears to be missing lines. This is actually very common with plates that have separate images, but in comparison this is probably the most complete plate out of the ones I've seen. 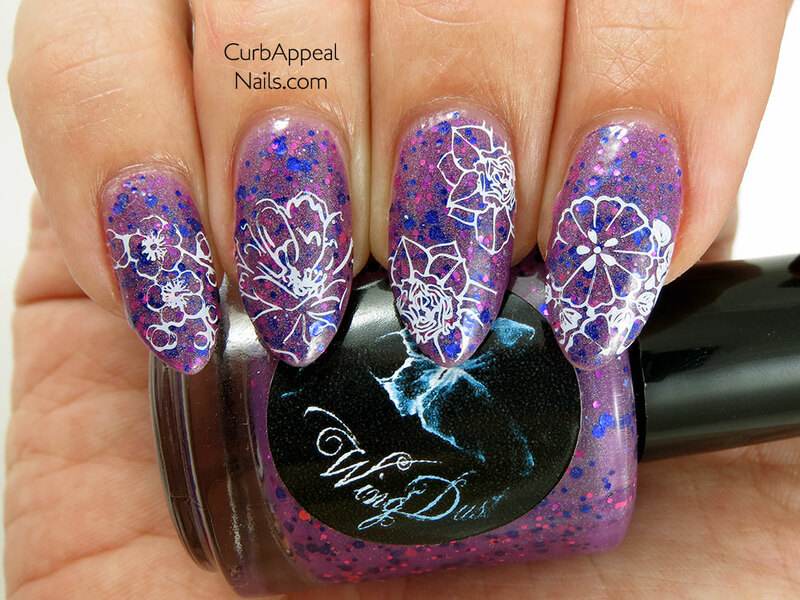 I used my Konad Stamping Polish in White, and alternated between my Konad Stamper (used for the smaller designs) and my Winstonia XL squishy stamper (for the bigger designs). As you can see, some of the transfers are a bit patchy (see pinky and ring finger), which is due to the Winstonia stamper being on its last legs because I had been cleaning it with acetone, not the plate, which worked fine with the Konad stamper (middle and pointer finger). 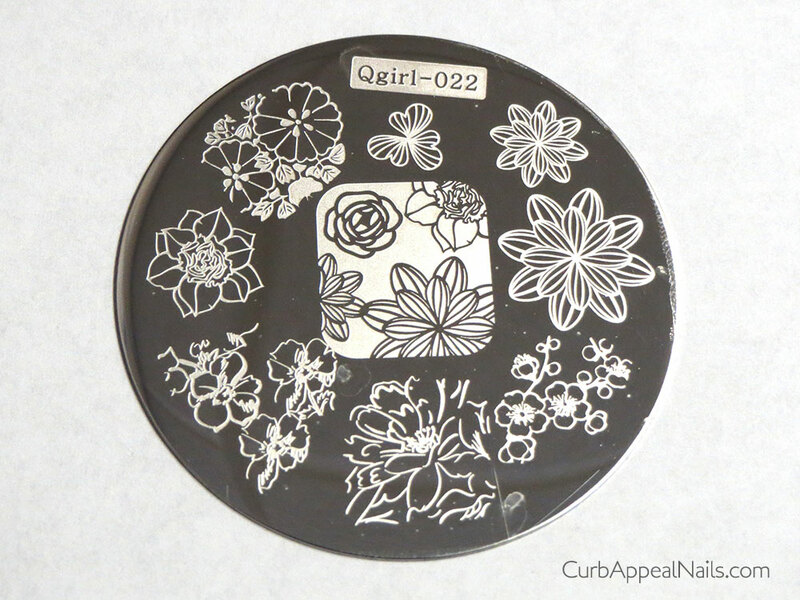 This stamping plate is really cute! I can't wait to get my hands on some Mudo De Unas stamping polish!